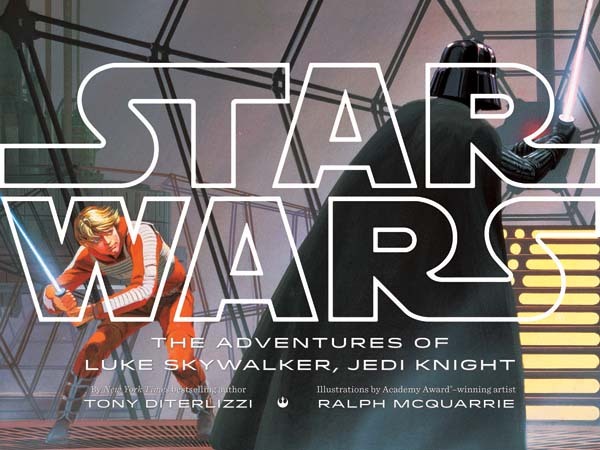 “Disney Publishing Worldwide announced today the upcoming global release of four new books based on the original Star Wars film trilogy. The classic Saga will come to life like never before through adaptations by bestselling children’s authors Tom Angleberger, Tony DiTerlizzi, Adam Gidwitz, and R.J. Palacio. 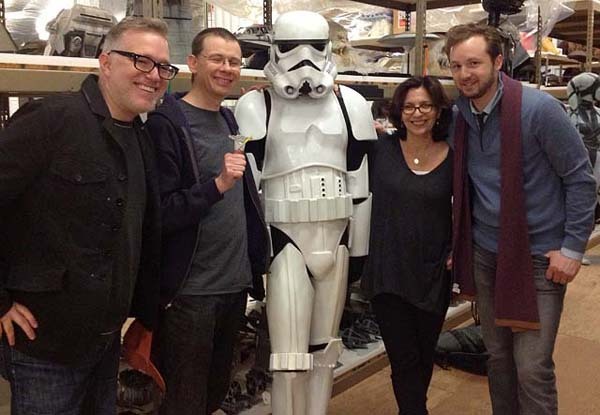 Each of these celebrated authors will bring their contemporary, unique voice to the galaxy far, far away, bridging the multi-arc storyline in anticipation of the release of Star Wars Episode VII in December 2015. 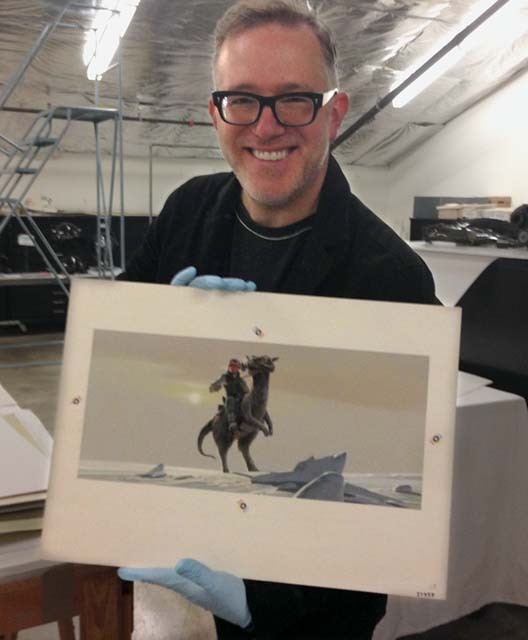 Knowing full well what a geek I am, the folks at Lucasfilm contacted me last fall to see if I would be interested in taking the late Ralph McQuarrie’s concept art to create a picture book retelling the original STAR WARS trilogy. Without hesitation, I agreed. How I pored over my Art of Star Wars when I was a young padawan artist. 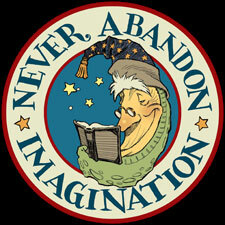 Within those pages my imagination exploded like a Death Star as I studied the blueprints of movie magic. And, of course, most of the drawings and paintings in the Art of Star Wars were by Ralph. I was familiar with many of his iconic images, but not prepared for the 200+ jpegs that soon arrived in my dropbox. I printed out small thumbnail-sized images and began sorting them in order of each film and scene. I laid the book out as if I were not only the author, but the artist as well. 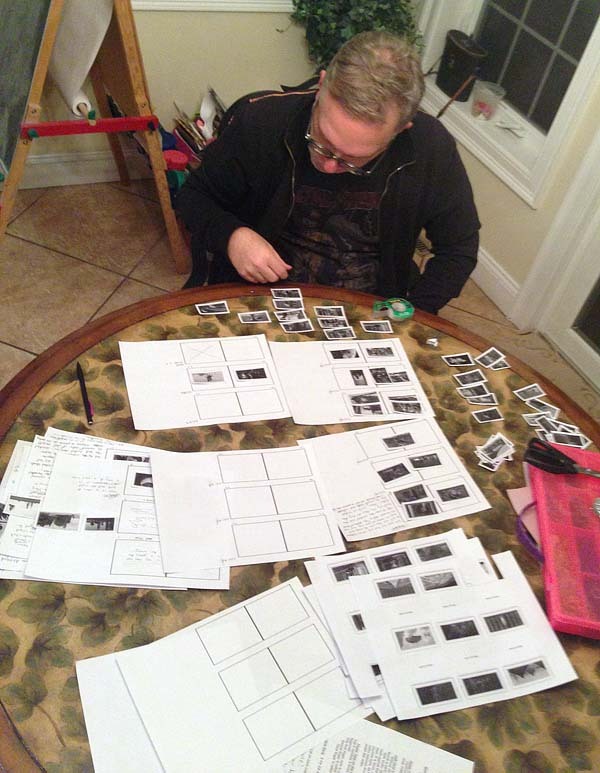 As I designed the flow of the book, I could see where the text would have to work harder to tell the story and where the art would do the job – just like the division of labor in a true picture book. 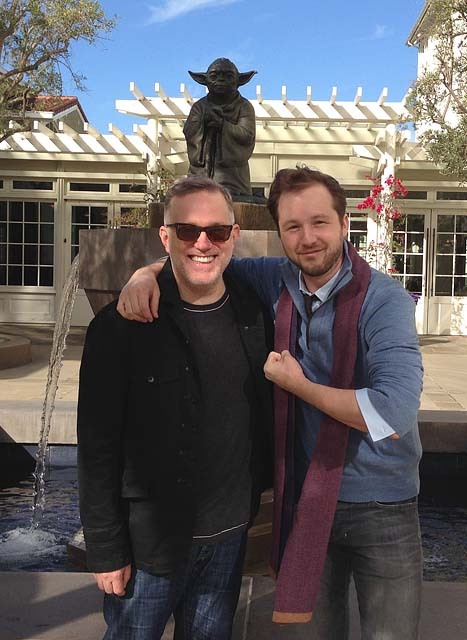 I am also incredibly excited for the other participating authors involved with the chapter book adaptations of the original films (like Adam Gidwitz here, hanging out with me and Yoda). 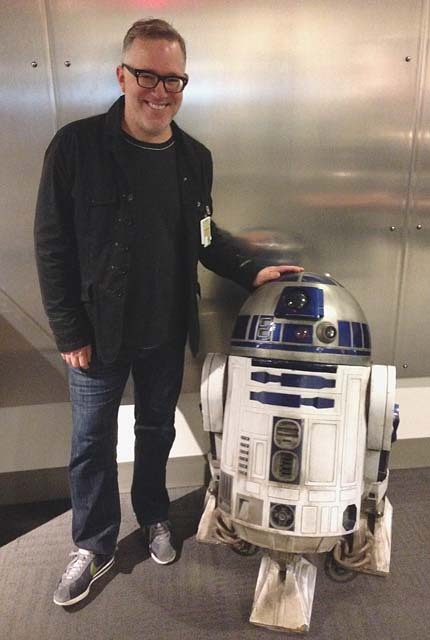 Earlier this year, we met at Skywalker Ranch to discuss our projects and immerse ourselves in a galaxy far, far away. Ten year-old Tony had died and gone to heaven. There’s no question that the STAR WARS myth has impacted me as a storyteller. I am humbled and honored to be the author asked to retell George Lucas’ classic space-age story of good triumphing evil for the next generation.